448 each Abbots Leigh D, Binegar S, Bristol S, Coombe Dingle D, East Pennard S, Emersons Green S, Leigh Woods S, Wakefield S, 224 each Barrow D, Clifton Down S, Erythrite S, Gurney D, Hotwells S, Mendip S, Sanvey Gate S, 153 com, atw. First submitted Monday, 7 September 2015 at 08:56:35 by Alan G Reading. 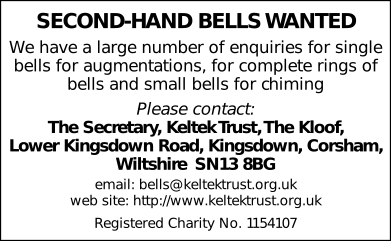 Sent for publication in The Ringing World on Tuesday, 8 September 2015 at 10:06:25, and printed in issue 5448, page 961. This performance has been viewed 1497 times.